On this page, you'll find a Free Study guide to pass the VCP-DCV 2019 certification. 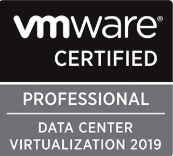 The latest VMware Certified Professional (VCP) certification for Data Center Virtualization (DCV) is a VCP-DCV 2019 Certification. It has 70 questions to complete within 105 minutes. 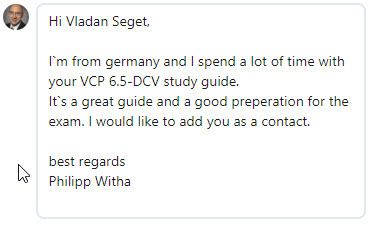 Professional vSphere 6.7 Exam 2019 (our VCP6.7-DCV Study Guide Page [Work In Progress]. Exam number 2V0-21.19. VMware Certified Professional 6.5 – Data Center Virtualization exam -exam number 2V0-622. We'll do our best to give you the best and most accurate information. VMware Certified Professional 6.5 – Data Center Virtualization Exam is an exam which needs a lot of preparation and experience with vSphere 6.5. Attend one of the mandatory class. Most popular of course is “vSphere 6.5 Install, configure, manage”, but it's not the only one. Check the exam certification page for the requirements. Pass the vSphere Foundation Exam (vSphere 6 Foundation or vSphere 6.5 Foundation). If you're currently VCP, then you might want to study for a Delta Exam (shorter), but it's only for current (not VCP3 or VCP4) VCP holders. VMware Communities for VCP here. VCP6.5-DCV Exam validates that you have the skills required to successfully install, deploy, scale and manage VMware vSphere 6.5 environments. Download the exam guide now. (direct link to the PDF). Tip: Check our How-to, tutorials, videos on a dedicated vSphere 6.5 Page. Hands On-Demand Training – VMware vSphere: Install, Configure, Manage [V6.0]. Once on the VMware store page, just click the menu Training > Education products and click the View All link. 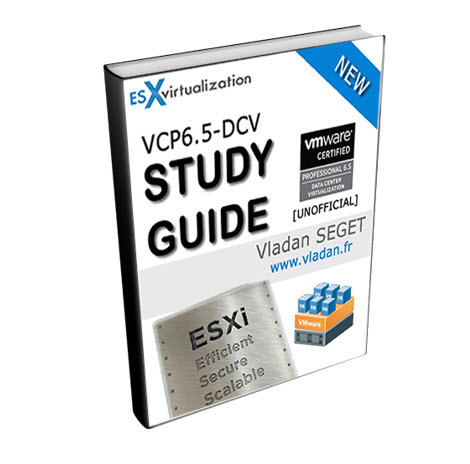 Will vSphere V6 courses satisfy the VCP6.5-DCV certification upon passing the exam? No, you must complete a vSphere V6.5 course to achieve certification if you do not already hold a valid VCP certification. If I take a VCP6.5 course and become VCP6.5 certified, can I then later use that same course to gain a VCP6? Can the same course be used to gain 2 different level certifications? No, a course can be used only once. If you complete a VCP6.5 course and pass the corresponding VCP6.5 exam(s), you are not able to use that same VCP6.5 course towards gaining a VCP6. However, since training is only required one time as long as you keep your VCP current, you are not required to take another training to earn a second VCP, so you can simply take another VCP exam to earn that certification. There is a slight difference between the vSphere 6.0 and 6.5 within the UI. The TABs changed places, to do things, the UI of the vSphere 6.5 is more streamlined and VMware is going towards full HTML 5 based web client for the future releases.